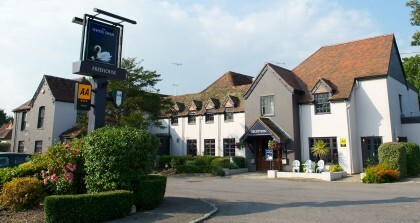 The White Swan Hotel, 16 Chichester Road, Arundel, West Sussex, BN18 0AD. The meetings are always on the First Friday of each month from 12:30 to 2pm so come along and enjoy meeting other business people in a relaxed and informal way at this friendly and welcoming venue. Enjoy a tea or coffee, or something stronger, and a sandwich or some lunch if you wish. Mingle or arrange a one to one session with someone there you would particularly like to spend time with. Hand out your cards and leaflets or leave them on the display table with your brochures. There is convenient free parking at the hotel. Please pass this information on to anyone who you feel will benefit from our great networking group. Everybody is welcome and there is no booking necessary, no charge, no lockout and no compulsory sales pitch! Some of the businesses who attend Arundel First Friday include: Printing and Signage, Parcel and Freight Service, Local On-Line Advertising, Web videos, Telephone Messaging, Accommodation, Day Tours, Conference Facilities, Graphic Design, Auto Funding, Business Services, Hospitality, IT Support, Acupuncture and Massage, Business Solutions, Leadership Training, Advertising, Marketing, PR, Utility Savings, Event Management, Solar Control, Job Centres, Accountancy, Bookkeeping, Tax Returns, Payroll, Computer Solutions, Wealth Creation, Holiday Accommodation, Property Investment, Banking, Driver Training, Video Production, Golf Tours, NHS Health checks, Storage, Log Supplies, Sheds, Item Hire, Lettings Agency, Web Design, Financial Advisor, Crisis Management, Coffee Shop, Window Cleaning Service, Life Coaching, Hospitality Event and Party organising, Telephone Systems, Chimney Sweep, Arundel Festival, Radio Advertising, Electronic Engineers, Taxi Company, Horse Training, Roofing, Floral Designs, Radio Advertising, Business Problem Troubleshooting, Currency Echange Services, etc. Collectors Gramophones, Cameras and Toys, Marquee Hire,Virtual PA, Business Solutions, Copy Writer, Mortgage Advisor, performnce and Change Management, Dog Walking, Overseas Removals, etc.